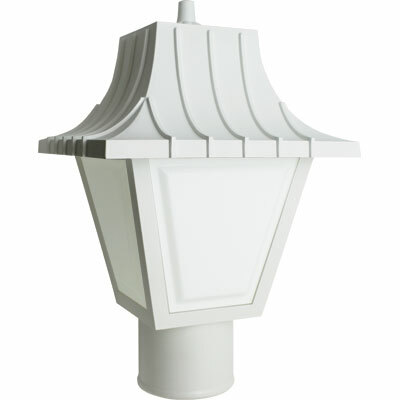 Post mount decorative light fixture with polycarbonate housing and acrylic panel lens. 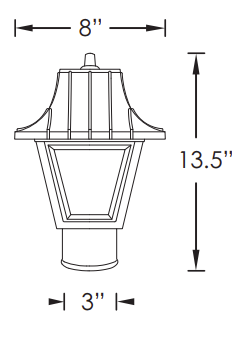 Housing is impact resistant polycarbonate. Made in the USA. Light bulb not included.